Not had your Breaking Bad fix for a while? Well Better Call Saul is back in 2016 and to give you a taste of what’s to come Netflix has released teaser images of the upcoming season. When we last saw Jimmy McGill he was driving away, smiling and humming Smoke on the Water, following the loss of Marco in that explosive finale. So what will season two have in store for this underdog fighting to make a name for himself? At the the Television Critics Association summer press tour of the series, two new stills of the highly anticipated second season – which is currently shooting in Albuquerque for debut early next year – were released, one of which features Bob Odenkirk as protagonist Jimmy McGill and the other of creators and executive producers Vince Gilligan and Peter Gould. But sadly, there is not much to be said about what we can see, and creators are keeping very much schtum on what is planned to happen. Fingers crossed, season two will gives us a bit more of a glimpse into the Saul Goodman we knew and loved back in the Breaking Bad days. The first series recently received seven Primetime Emmy noms for Season 1, including outstanding drama series, best actor for Odenkirk and supporting actor for Jonathan Banks for his portrayal of Mike Erhmantraut, so if season one is anything to go by, we’re in for a killer second season. He’s more commonly known for his tribulations as everyone’s favourite boy wizard, but Daniel Radcliffe is proving he’s more than grown up as he is set to undertake the role of an undercover agent seeking out white supremacists in FBI thriller Imperium. Radcliffe’s character, who is based on real-life cop Michael German, attempts to expose a group of supremacists who are looking build a dirty bomb, by spending years infiltrating various neo-Nazi groups. This is just the most recent in a hoard of titles that Radcliffe has worked on post-Potter, most notably, in the last year. Most recently, the 26-year-old actor has completed a cameo role in Amy Schumer’s comedy Trainwreck and can be seen next as Igor in Victor Frankenstein, a revisionist take on the classic Romantic novel by Mary Shelley opposite Atonement’s James McAvoy. 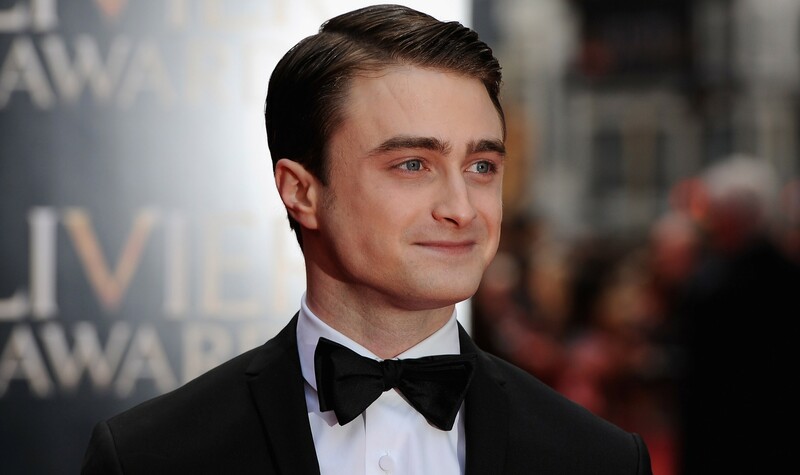 He also recently wrapped on the BBC’s upcoming drama Game Changer, a TV movie on the creator of Grand Theft Auto to which Radcliffe takes on the protagonist role. Imperium will be the feature-debut of shorts maker Daniel Ragussis, who worked with German to compose the movie’s script and will see Radcliffe on a trip to Quantico to take a bite out of crime and terrorism. Produced by Ty Walker, Dennis Lee and Simon Taufique, filming is scheduled to begin this autumn with UTA independent film group expected to sell it. The first of Netflix’s original movies, Beasts of No Nation, has been given its theatrical release for US cinemas, at the same time the trailer for the anticipated feature has been aired. The first of Netflix’s slate of original films will hit screens in select U.S. markets on October 16, the same day that it debuts worldwide on Netflix. The global streaming service is partnering with Bleecker Street and Landmark to open the film in 19 markets including New York, Los Angeles, Boston, D.C, Seattle, San Francisco and San Diego, served by Landmark Theatres. This allows the drama, set in Africa and starring Idris Elba, to be eligible for Oscar consideration – a feat which had its chances improved earlier this week when the feature was selected to screen at both the Venice Film Festival and the Toronto International Film Festival. Written and directed by Emmy Award winner Cary Fukunaga (True Detective, Sin Nombre) and starring Golden Globe® winner Idris Elba (Luther,), Beasts of No Nation is based on the highly acclaimed novel by Nigerian author Uzodinma Iweala, following the story of Agu, a child soldier ripped from his family to fight in the civil war of an African country. While newcomer Abraham Attah takes on the protagonist role, Elba takes to the screen as the Commandant, a warlord who takes in Agu and instructs him in the ways of war. The stirring story will have to compete against the likes of Steven Spielberg and Tom Hanks’ Cold War thriller Bridge of Spies, Guillermo del Toro’s horror pic Crimson Peak and the family film Goosebumps during award season. Beasts of No Nation will be available in select cinemas and globally on Netflix from October 16th and you can watch the first teaser trailer for the feature below. Over the last few weeks the internet has been awash with conversation surrounding an all male reboot of Ghostbusters starring Chris Pine and Channing Tatum, that would come in the wake of the female version. 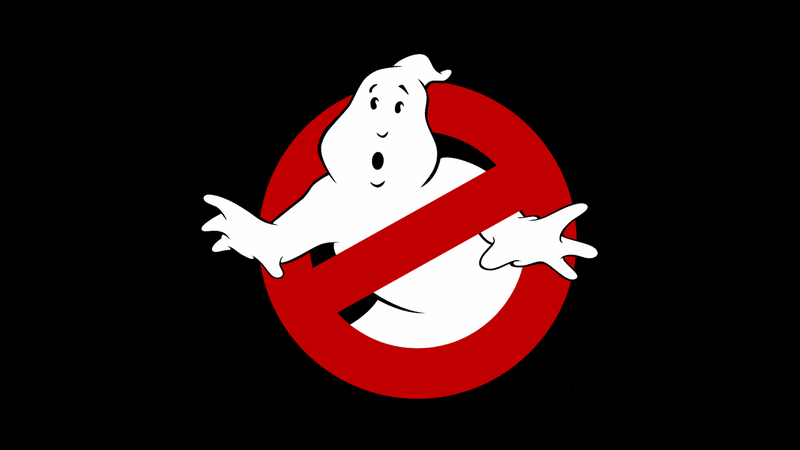 However, a producer on Paul Feig’s upcoming Ghostbusters, has dashed any hopes/fears/qualms. Ivan Reitman, director of the original Ghostbusters said: “There has been a lot of excitement recently about what is happening with the Ghostbusters franchise. As the producer of the new Ghostbusters film, I feel the need to clarify. Melissa McCarthy, Kristen Wiig, Leslie Jones and Kate McKinnon are currently in the process of filming the reboot, due out in July next year. However, speculation started circling about the all-male version following screenwriter Drew Pearce announcing that he had recently finished writing a script for a male-led film with the Russo brothers. This was heightened even further by Tatum speaking publicly about the potential movie, but cast doubt on the film’s chances of a release in June. Paul Feig’s all-female Ghostbusters will be released in cinema’s on July 22nd, 2016. 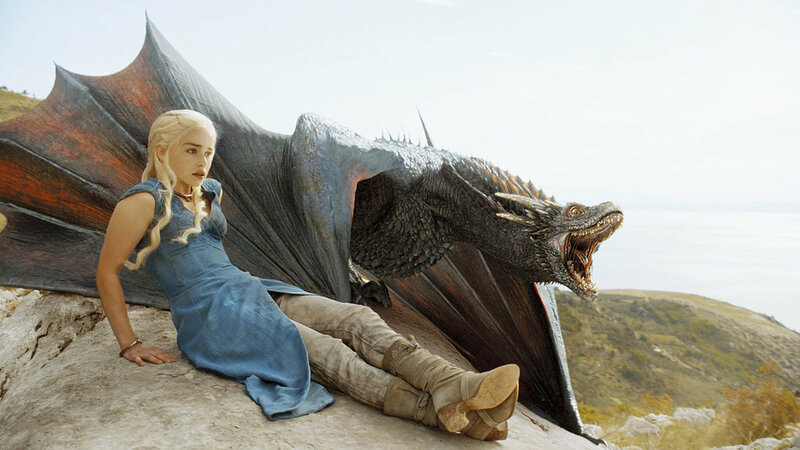 Game of Thrones will run for “at least” eight seasons, HBO announced yesterday at the network’s Television Critics Association presentation. Earlier reports had suggested the hit fantasy series would bow out after seven seasons. There was more than just this exciting news for Game of Thrones fans, however, with Lombardo discussing the possibility of a spin-off prequel series. Fear The Walking Dead will be split into two parts just like parent series The Walking Dead, network AMC has confirmed. While the full series has been confirmed to total fifteen episodes, only six will air next month on the channel. Fear The Walking Dead is the eagerly-awaited prequel to hit zombie drama The Walking Dead, which explores the zombie outbreak in more detail. In the original series, the outbreak itself was missed by series protagonist Rick Grimes, who woke from a coma to learn the world he knew was infested with zombies. Fear The Walking Dead stars Kim Dickens, Cliff Curtis, Alycia Debnam-Carey, Elizabeth Rodriguez, Rubén Blades, Mercedes Mason and Lorenzo James Henrie. The series is expected to answer questions fans have been asking since the first season of the hit drama. Fear The Walking Dead will premiere in the UK on new channel AMC, available exclusively to BT consumers. It will begin in September. The Big Bang Theory‘s Kunal Nayyar will appear in an upcoming episode of The Mindy Project, it has been confirmed. The star is best known for playing astrophysicist Raj Koothrapalli in the world’s biggest sitcom, a friend of Sheldon and Leonard’s who initially struggles with selective mutism around women. In The Mindy Project, he will reportedly will play a charming hedge fund manager that Mindy’s parents want her to marry. Quite a difference from the frequently tongue-tied Raj! Upon learning the news, Danny does all he can to put a spanner in Mindy’s potential union. The Mindy Project was cancelled by FOX in March after three seasons on the Netflix. After fan uproar, the sitcom was picked up by Hulu for a fourth season comprising 26 episodes. There is no word yet on when the new season will premiere on the service. TV just wouldn’t be the same without the charge that comes from a really great bromance. 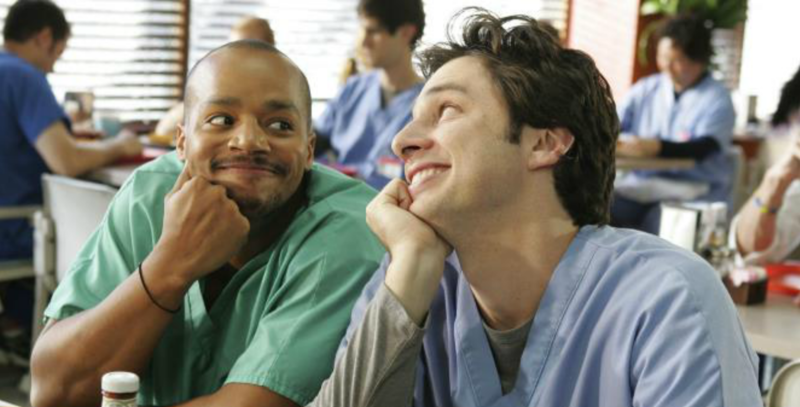 In celebration of the International Day of Friendship, TV Daily has collected 10 of the greatest bromances on television. Not even moving out could bring these bros apart. When Chandler took things to the next level with Monica he made sure to stay true to Joey and only moved four steps across the hall. And who could forget their mutual commitment to living in a box to prove their devotion to one another? Bracelet buddies forever. Nobody loves Turk the way JD does, and even Carla knows it. Roommates in college, roommates in med school, lifemates for eternity – one just doesn’t work without the other cos’ they’re always in sync. You need a man who is gonna have your back when everyone in the kingdom wants your family’s heads. Aside from a shared love of booze and naked women, Bronn partook in combat to save Tyrion’s honour (admittedly for money) but the pair get each other and get laughing. And that’s not a common thing in King’s Landing. Both are locked in their own worlds, where neither of them actually has any idea what they are doing. But in this fantasy world, Michael is Dwight’s demi-god, and he wouldn’t ever let him down. Even in THAT series finale, which we’re all still pretending we didn’t cry over. Nick was getting Schmidtty way back when ‘fros were in. No woman can bring them apart (except, you know, Jess) and no woman will ever love Nick, physically and emotionally, the way Schmidt does. An all-consuming relationship that isn’t even thwarted by Howard’s marriage. Whether Raj is riding pillion on Howard’s vesper, or the pair are lovingly feeding each other in the university canteen, they are constantly in tandem – right down to matching cosplay. Forced together by Neil and Jay’s stupidity, this unlikely bromance arose as necessity more than anything, but blossomed into a modern day fairytale built on mutual humiliation, adoration and social survival. Nothing says old married couple quite like a good bicker, which Sherlock and John are famed for. It’s a tale as old as time: man and bro meet, man exercises superiority and bro knocks him back into place with a few (choice) sassy comments. Bromance for life. The buffer to each other’s weirdness, both Ted and Marshall derive total confidence in their strange habits by the fact the other loves them regardless. Red cowboy boots? The existence of the Loch Ness monster? They just don’t care. Sorry Lily, you’re doomed to be the third wheel in this love affair. Gavlaaaaar’s love for the Smithster, unlike lots of our bromances, transcends the UK borders with the pair resorting to many a slag-tastic phone call to keep up their connection. But these guys prove that absence only makes the heart grow fonder, with the pair still in-sync and in love though so many miles apart. It’s official. After endless speculation about the future of former Top Gear presenters Jeremy Clarkson, Richard Hammond and James May, it was today confirmed the trio will reunite to make a new car show for Amazon Prime Instant Video. 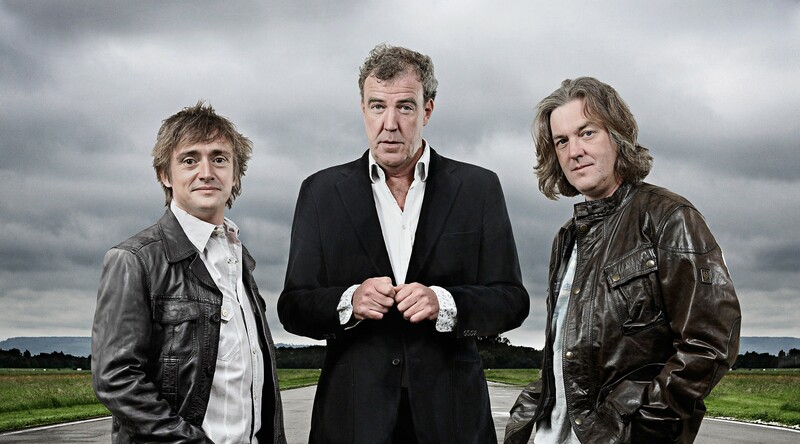 Clarkson, Hammond and May have signed a three-series deal, with the first of these series set to go into production “soon.” Its release is scheduled for 2016. The new series will be exclusive to Amazon Prime members. Amazon is, of course, about as far away from the BBC as a television provider can get. Amazon Prime offers members the largest selection of any subscription streaming service in the UK. It costs users a hefty £79 annually, but also includes access to music streaming, unlimited photo storage and access to 800,000 Kindle books to borrow. In addition, Amazon Prime users can get free one-day delivery on all items ordered from the online giant. Reports are flying that Channing Tatum is going to leave the X-Men spinoff Gambit. Tatum appeared alongside the X-Men cast as little as two weeks ago, posting an image of the combined universes of X-Men and the Fantastic Four with the caption #auniverseunited in supposed support for the work he is doing with the spinoff. However, according to The Wrap, the 21 Jump Street actor’s deal with 20th Century Fox “is in jeopardy of falling apart,” following Tatum’s supposed desire to move into directing and away from acting, yet it is not clear what the actor’s departure would mean for his producing partner Reid Carolin. The comic book movie is only just getting off the ground, with casting still underway for the main cast which allegedly includes Spectre‘s Léa Seydoux, who is said to be testing for the female lead. The blockbuster is supposed to go into production this October with a hefty $154 million budget, however, this could be postponed if the Magic Mike frontman is to walk. Tatum is due to take on the titular, smooth talking character who Taylor Kitsch originally played in X-Men Origins: Wolverine. The studios have alleged that this new version of Gambit will eventually join the main X-Men movies someway down the road. Similarly, there has been talk of a further cross over between X-Men and the Fantastic Four, meaning there are plenty of opportunities to reprise the role further down the line if Channing was to stay involved. The X-Men spinoff will be directed by Rupert Wyatt and is due to be released in cinemas on October 7, 2016.